Tension is brewing after police prevented hundreds of Alexandra residents from marching towards the N3 highway, north of Johannesburg. Residents have shut-down the whole of Alexandra over the mushrooming of shacks and illegal structures which have affected service delivery. Businesses have been closed and learners have not been able to go to school. Some residents have not been able to go to work due to the unavailability of transport. A large police contingent has been sent to Alexandra to monitor the protest. Community leader Kenneth Mgaga says: “The plan is that we are going to block N3 now as we speak. From the N3, we are going to build up and close all the highways. In fact, we want to close all the main roads going to Sandton and Midrand. 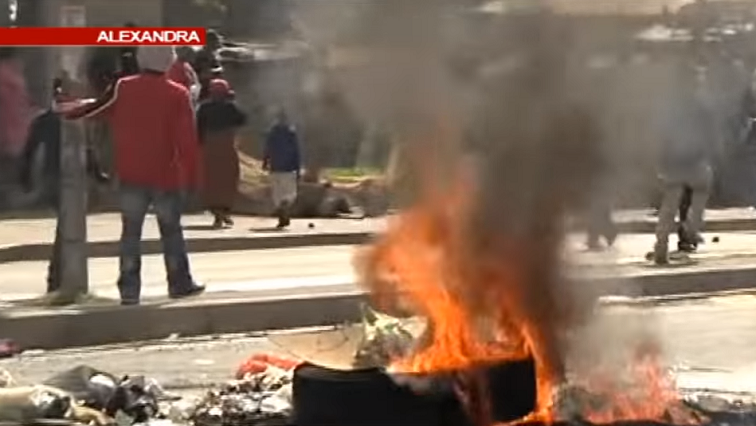 The post Tensions escalate as Alex residents continue with protests appeared first on SABC News – Breaking news, special reports, world, business, sport coverage of all South African current events. Africa's news leader..